Vitamin and mineral balancer pellet formulated specifically to fill nutrient gaps and balance mineral ratios for broodmares and growing horses grazing dry pastures. Set recipe formulation with the same premium quality proteins used in every batch for incredible muscle building capacity and milk production. Contains minerals carefully selected for purity and bioavailability that will support sound bone and joint development. 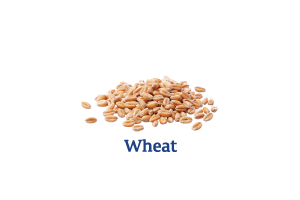 High in vitamins including natural vitamin E to balance the poor vitamin profile of dry pastures. Feed alone where weight control is required or add your own grains or Pryde’s BioMare Cubes when additional calories are needed. **Use your horse's expected mature bodyweight to calculate the correct dose. For example a weanling that will mature at 500 kg should receive 5 x 200 g = 1000 g/day. Adjust the amount fed so it is appropriate for a horse’s current activity and bodyweight. The feeding rates given here are based on the amount of balancer pellet needed to meet a horse’s vitamin and mineral requirements. If you feed below these feeding rates, vitamin and mineral deficiencies will appear in the diet and may affect health and limit growth and sound development or reproduction. It is best to feed this balancer pellet at the recommended amounts. If you are feeding this balancer pellet in conjunction with one of the Pryde’s EasiFeed range of complete feeds the amount fed may be reduced. 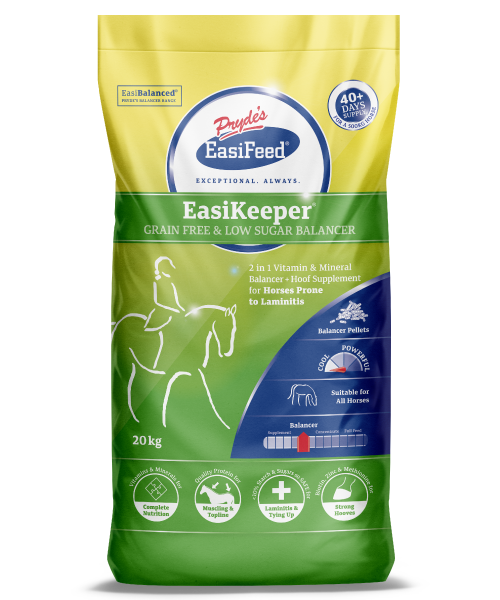 See the ‘Keep It Balanced’ information on the back of your feed bag for adjusted feeding rates. Green pastures are a rich source of vitamins A, E, K and the B-group vitamins. As pastures mature their vitamin content declines rapidly. Pastures that are completely brown are almost devoid of any vitamin content.